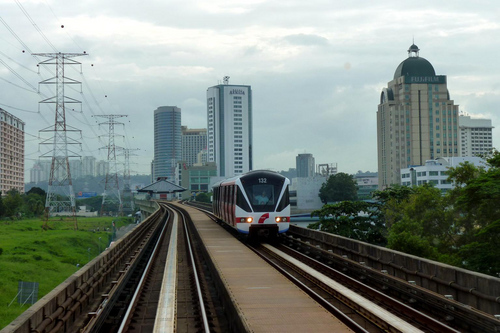 This photo by cmglee of the Kelana Jaya line in Petaling Jaya, Malaysia took me back. PJ is classed a satellite city of Kuala Lumpur, but it may as well be a suburb. If I may put on my thirty-year-old man hat, time was this line was called the Putra LRT. Today, it’s part of the RapidKL system, and one component which will be eventually integrated with the new MRT lines they’re building. I had a job interview at the Dang Wangi station on that line back in 2006. I haven’t been back to KL in almost a decade, I wonder how much its changed? 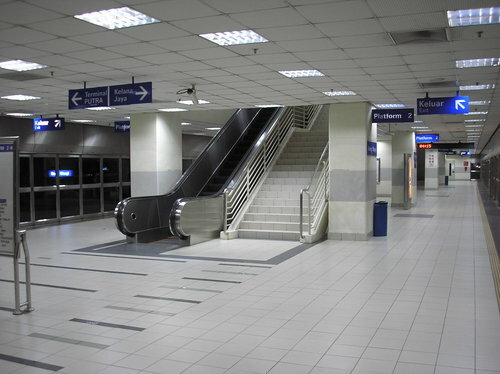 Now that I think of it, have a picture of the aforementioned Dang Wangi station by Two hundred percent on Wikimedia Commons too. It’s cleaner than the stations in Australia, go figure.